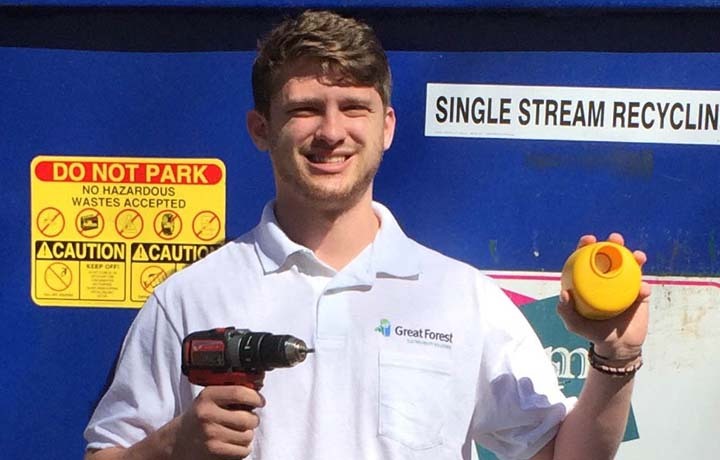 After a successful pilot, Great Forest launched an innovative program in the Mid-Atlantic region to take waste management to the next level. Now we are proud to reveal the results. Working with Enevo, Great Forest has been able to deliver waste and recycling solutions, including sensors and analytics platform, to enhance customer service for over 300 of our client locations. With the Enevo system, Great Forest is now able to solve major challenges such as identifying and responding to missed pickups more quickly. In addition, we are able to get more accurate fill-level readings without having to take manual measurements. This all results in providing better reporting and customer service to our clients. “Systems like Enevo will drive the waste industry out of the stone age. This system takes us to another level and provides ‘eyes and ears’ on the containers we manage, which we never had previously. This helps us offer our clients a more measurable, and therefore manageable, program for their properties” said David Troust, a Principal at Great Forest.